Brighton Photo Biennial is an ambitious, bold and innovative festival of international photography. It aims to offer a challenging and stimulating event to wide and varied audiences. Brighton Photo Biennial is a Photoworks production and we need an army of volunteers both in front of and behind the scenes, to help us make it happen. For its seventh edition, Brighton Photo Biennial examines the politics of identity and representation through the lens of fashion and style photography with a series of new and divergent perspectives. 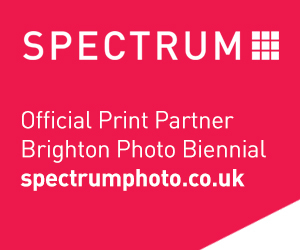 Throughout October, exhibitions and events across the city of Brighton & Hove will form Brighton Photo Biennial 2016, Beyond the Bias – Reshaping Image, and probe how photography can inform and reflect socio-political issues. The BPB16 exhibitions and programme is packed with a calendar of talks and events, having plenty to offer non-specialist and specialist audiences alike. Subjects covered include: representations of the body, gender and sexuality; the subversion of social and cultural norms; photography’s function with the fashion business; the politics of subcultures and tribes. We’d like to say a massive thank you to our BPB16 volunteers for all their hard work and dedication.